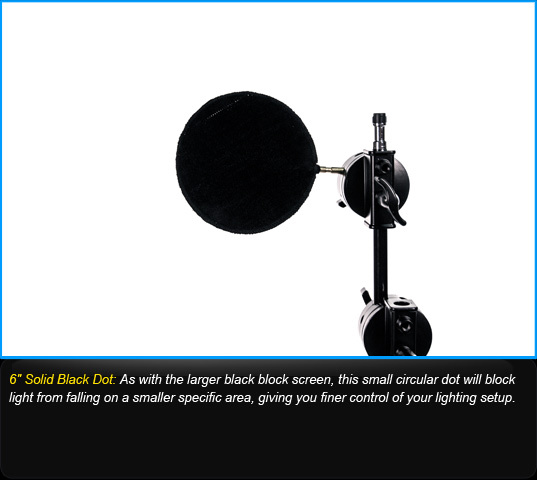 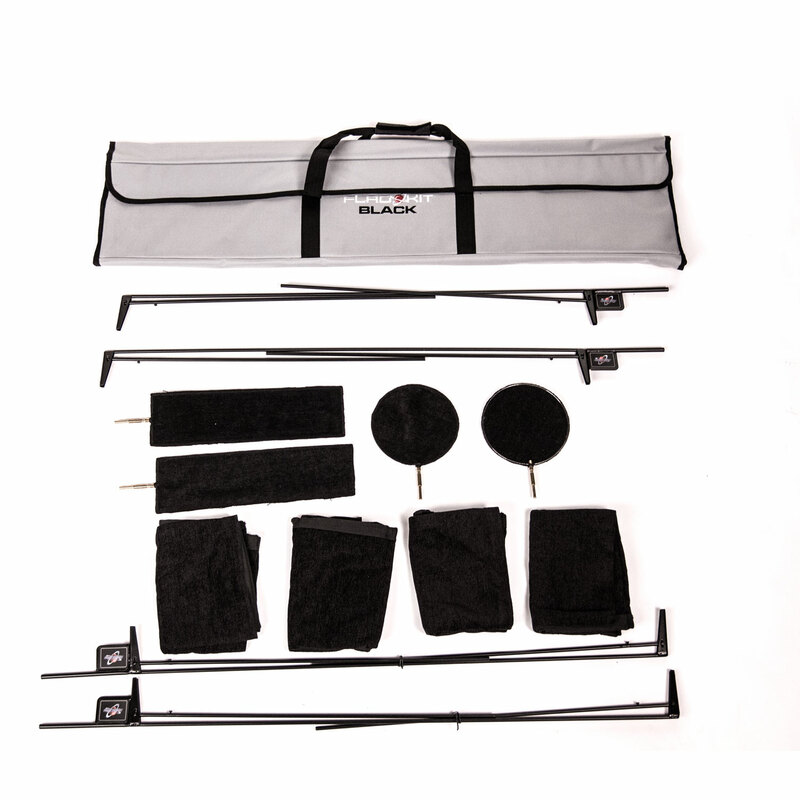 The Digital Juice Flag Kit Black is a 12 piece kit with four 3�x2� Duvetyne style, black fabric flag scrim portable, lighting modification systems that allow you to quickly and easily duplicate studio lighting effects on location in your photography and videography shoots. 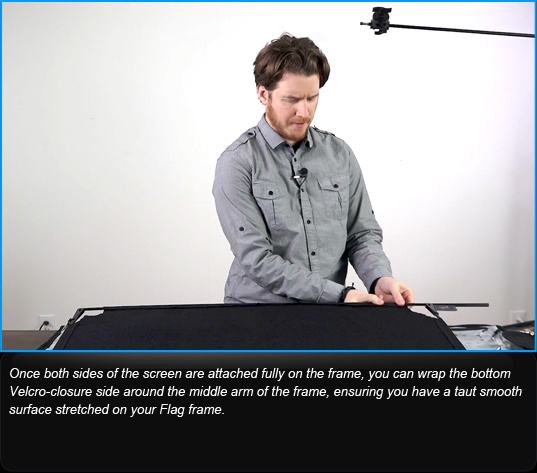 These compact �flag� frames unfold and lock into place, creating a rigid support to hold and stretch a range of interchangeable lightweight fabric screens or scrims taut to shape or block lighting on your photo & video production sets. 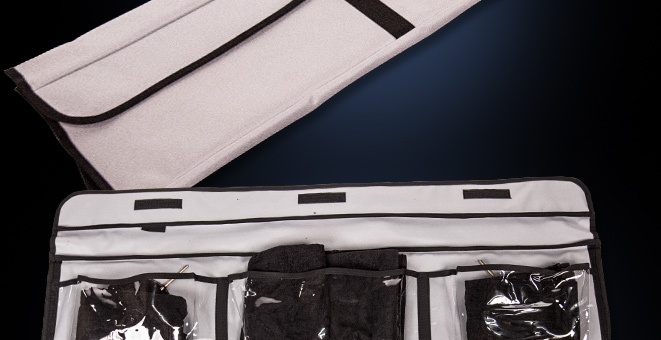 Industry standard border colors on the fabric screens provide a quick and easy way to identify each piece. 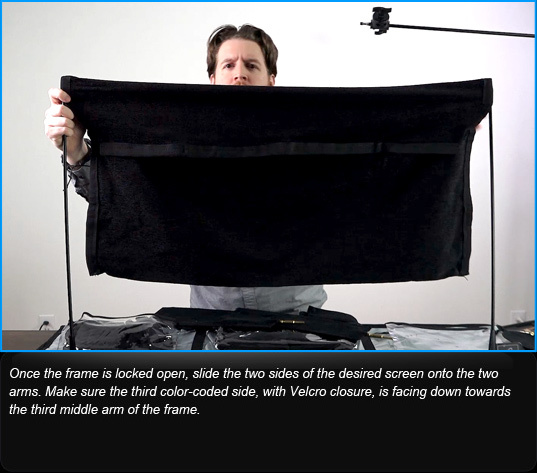 Once the fabric screen is stretched on the frame, to form a flag scrim, it can be attached to any support or light stand, such as a C-Stand, to modify, shape or block light completely in specific areas. 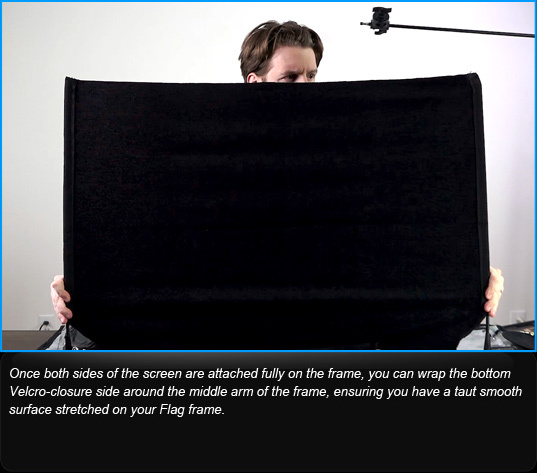 Once the screen is removed from the frame, the three-sided metal frame collapses quickly and easily for storing and transport. 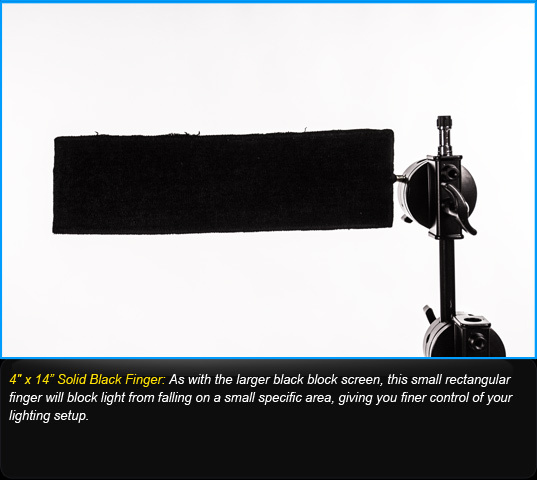 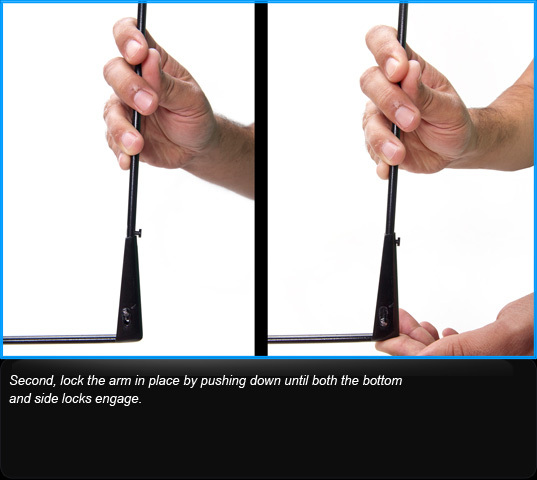 It also contains 2 fingers and 2 dots to help shape smaller lights or block annoying reflections. 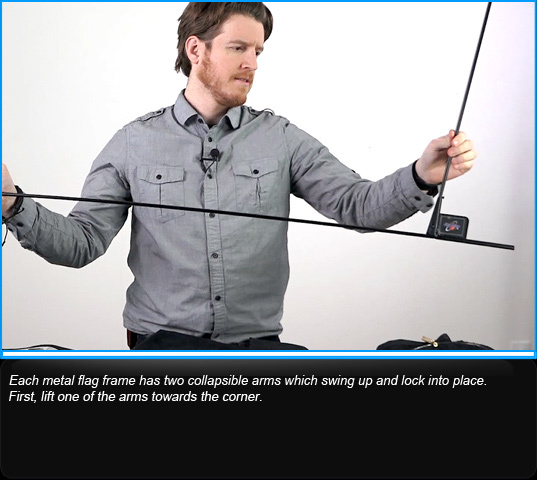 The portability and small footprint of our flag kits is ideal for shooting on location. 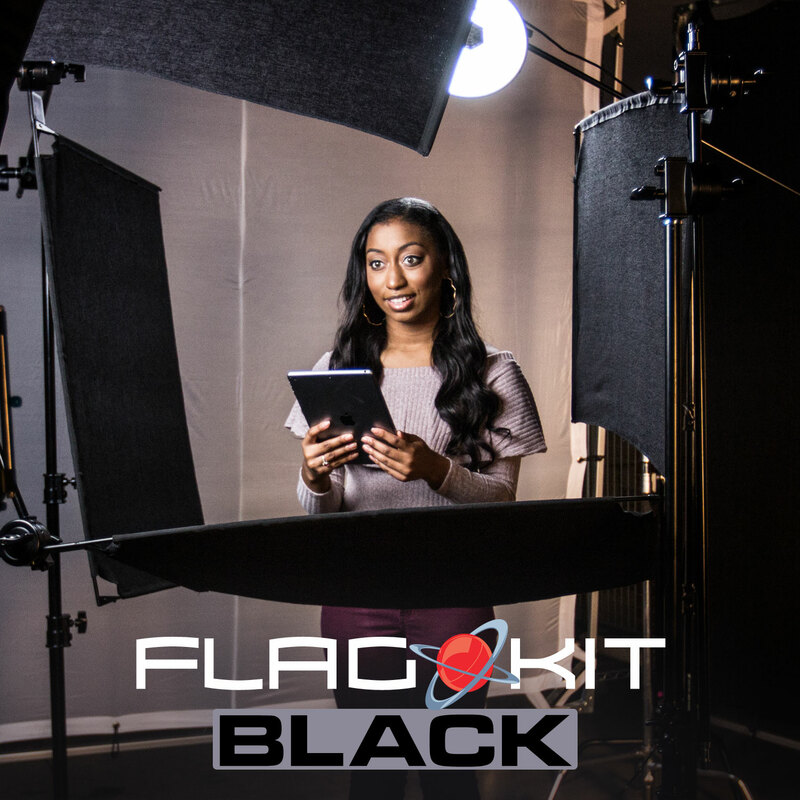 The reliable flag scrims in this Flag Kit should fit easily into most photography production lighting kits or can be carried separately in its own compact, lightweight carry bag. 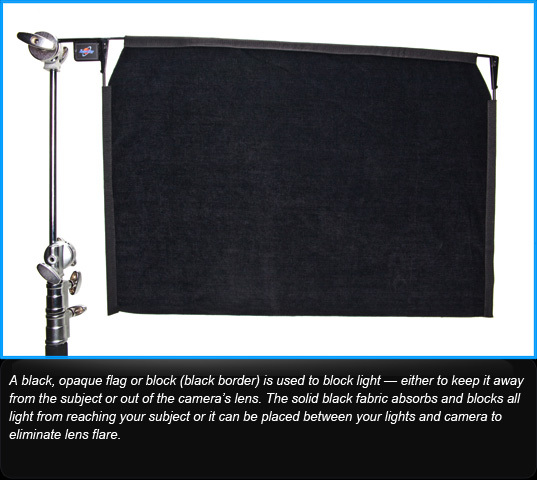 This affordable, durable Duvetyne style, black fabric flag scrim or screen shapes light and blocks, light unwanted reflections. 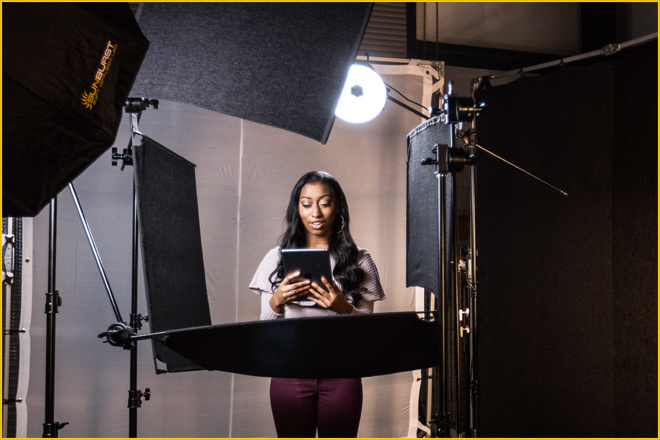 You can fine-tune lighting easily on any photography or videography shoot in studio or no matter where your production location is. 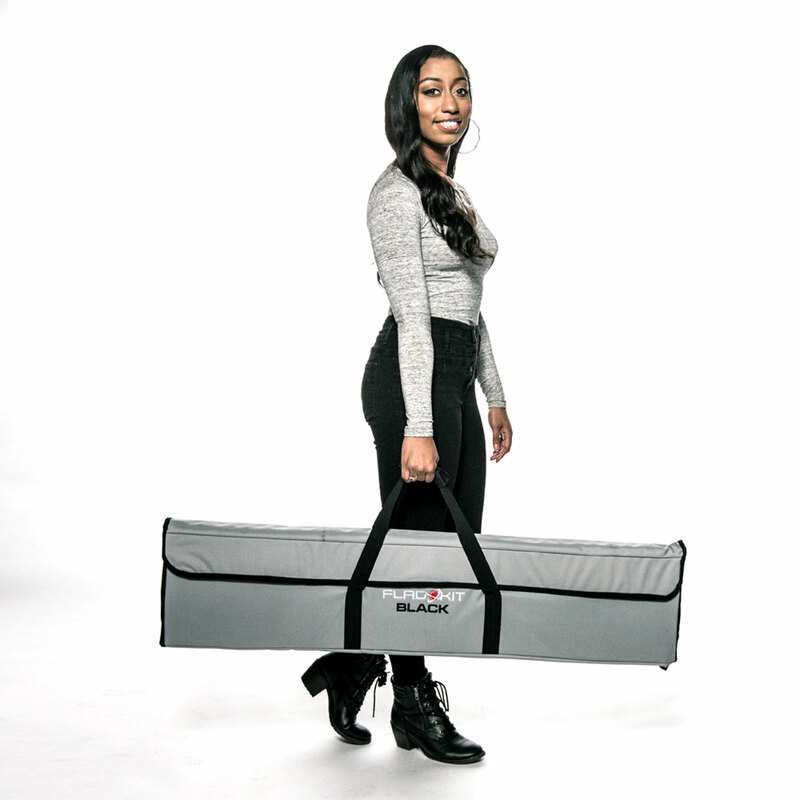 Constructed from durable steel, these three-sided collapsible frames have 2 arms that fold out at 90-degree angles from the center bar and lock into place. 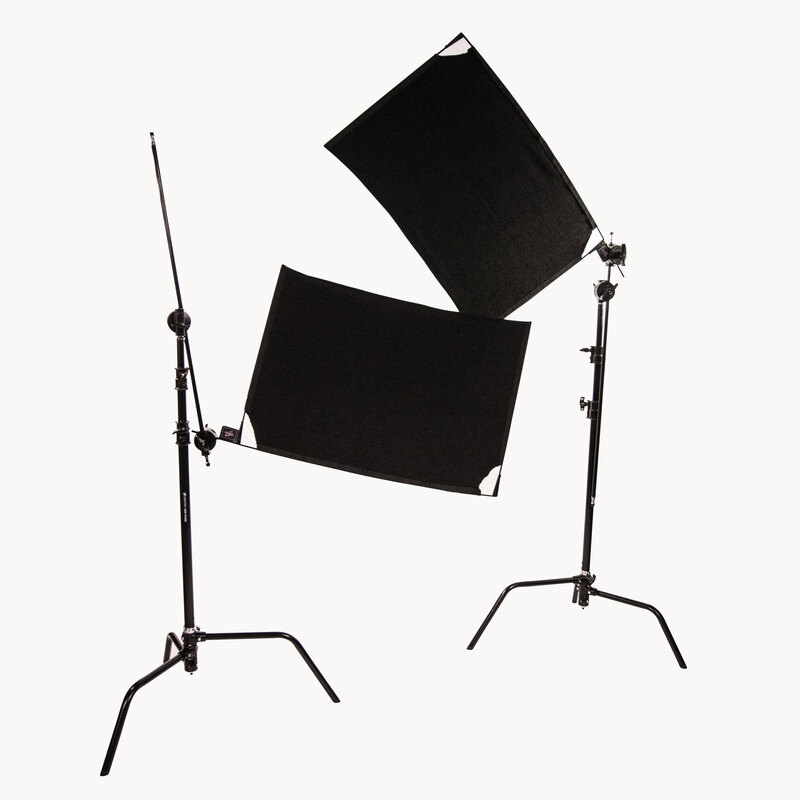 In combination with the easily interchangeable fabric covers, these flag frames can be easily mounted to any standard grip head. 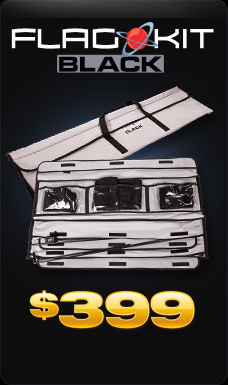 The collapsible frame allows for easy transport and storage. 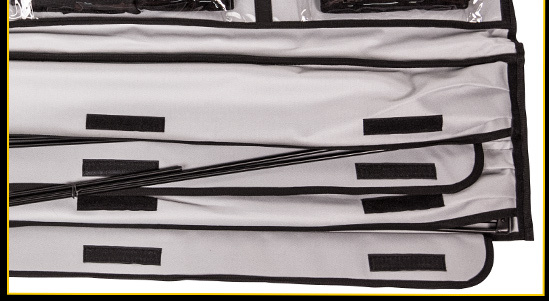 The stylish Carry Bag for each Flag Kit protects your flags & frames as well as keeping everything organized and gathered together in one handy lightweight bag. 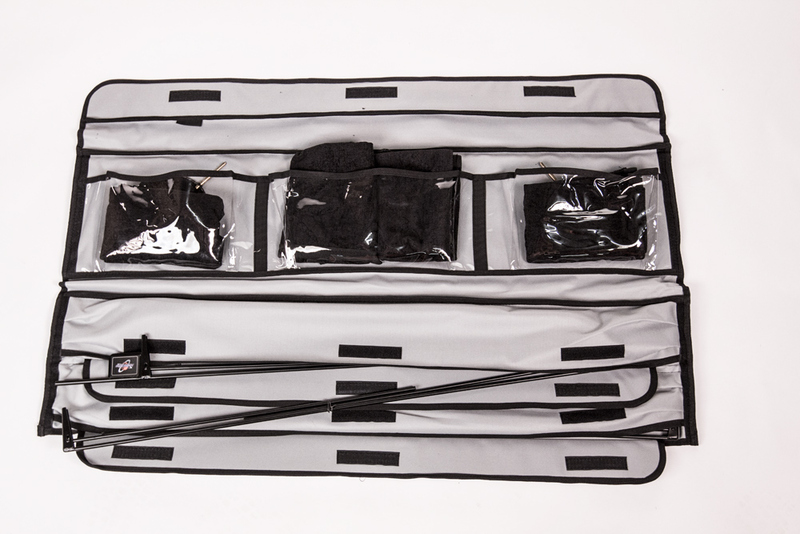 The handy fold-open carry bag has plenty of room to hold all the pieces of the Flag Kit plus more. 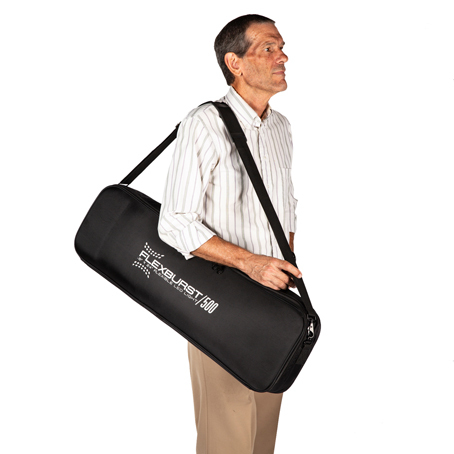 There is extra space in the two pockets inside the bag for additional grip gear like C-47s (clothespins) or gels. 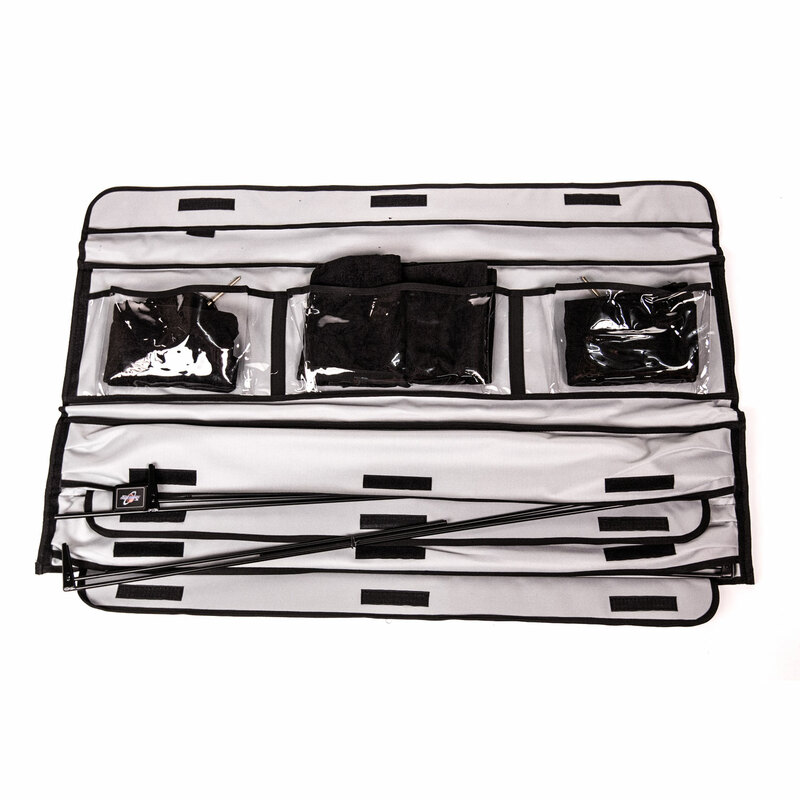 The removable fabric screens fold up for safe storage and travel inside the carry bag, along with the collapsible frames, dots & fingers. 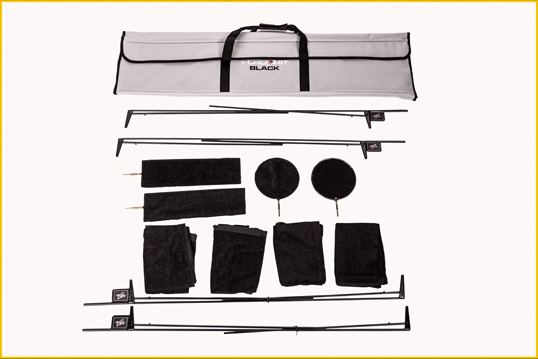 Full Flag Dimension: 24" x 36"
Finger Dimensions: 4" x 14"
Carry bag dimensions: 10" x 45" x 2"
Full Flag Dimension 24" x 36"
Finger Dimensions 4" x 14"
Carry bag dimensions 10" x 45" x 2"